Looking for literary first editions books? Biblio.com hosts over 5500 of the finest online book stores and booksellers, including specialists in literary first editions. Use the list below to locate a specific specialist bookseller or book store near you. Or, use the form below to search the inventory of all booksellers who specialize in literary first editions. Our office, located in historic Williamsburg, Virginia, is open by appointment or by chance. 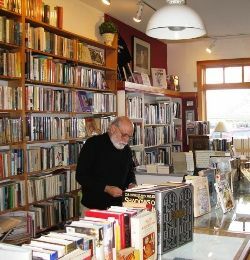 We are antiquarian booksellers who buy and sell carefully selected books for collectors and researchers in many genre. We also sell important autographs and photographs as well as original art, including wood engravings by Winslow Homer; lithographs by Miró, Matisse, and Calder; and works from the American Etching Revival. You can reach us by telephone: (757)378-5400; or by email: twbooks1@cox.net.